A global gathering of world elites is taking place in Davos, Switzerland, this week, claiming—as it does every year—to “define priorities and shape global, industry and regional agendas.” The World Economic Forum (WEF) meeting, held in the rarified elite space of the snow-capped Swiss Alps, consists, in its own words, of “leaders of global society.” In reality, it represents no formal body, writes Sonali Kolhatkar for truthdig. There is no public mandate, no accountability for crafting goals or achieving them. It is a private, invitation-only gathering bringing together corporate elites and liberal technocrats, along with elected representatives and nonprofit leaders, for discussions about how to solve the world’s problems—on their terms. The WEF’s attendees are so cut off from the rest of society that of the 3,000 attendees, about 1,500 flew into Davos in their own private jets. Most are men, and a majority are either North American or European. 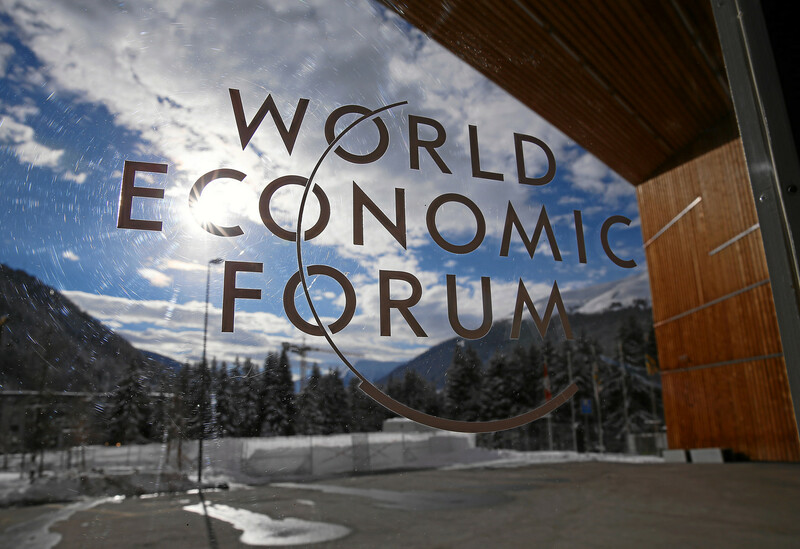 The WEF does not like to focus on how wealthy private interests dominate the forum, boasting instead of the myriad high-profile political officials and human rights leaders who have been invited. They will tout speeches by Jane Goodall and David Attenborough—but not by the CEOs of GE or ExxonMobil. Indeed, more than half the attendees are from the business sector—a fact that is revealed on the WEF’s website in only a fragment of a sentence: “… the private sector will be represented by more than 1,700 leaders.” The influence of these representatives on the WEF, and by extension, on government policies, is as invisible as their identities. Among the human rights leaders invited to Davos is Oxfam International’s Executive Director, Winnie Byanyima, a woman who pulls no punches in the presence of global elites. She wrote ahead of the forum, “Every January I get a glimpse into a different world. A world of billionaires, of business and political elites.” Byanyima explained, “For Oxfam, Davos is an opportunity to take stock of the crisis of extreme inequality.” In fact, each year Oxfam releases its report on global inequality to coincide with the start of the WEF, and this year’s report clearly blames global inequality on the continuously lowered tax rates of the wealthy. The entire gamut of public services that ordinary people the world over are entitled to—free of charge—are going unfunded or underfunded thanks in large part to the insatiable greed of the fabulously wealthy. Access to services like education and health care, and the stockpiling of cash by billionaires, are two sides of the same coin. One stark example of the impact of dwindling government revenues is that “262 million kids are not going to be able to go to school somewhere in the world because their public institutions don’t have the funding to put them into school,” O’Brien said. The example of underfunded education drives home the fact that inequality is not just the scourge of so-called Third World nations, but affects the world’s wealthiest nation as well. Think about the wave of teacher-led revolts across the U.S., such as the Los Angeles public teachers strike about which I wrote last week. Wealthy elites like school superintendent Austin Beutner and several of the Los Angeles Unified School District board members have been reluctant to fully fund the school system, leading to poor-quality education. This, in turn, has forced teachers to take a stand, lose pay and risk their livelihoods in a fight for the basic rights of the kids they teach. There is plenty of money in the U.S. to fully fund schools across the nation so that all kids can have a well-rounded, quality education and all teachers can be generously compensated. But much of that money is either funding the military or being siphoned away from the Treasury through tax cuts. Meanwhile, Americans who consider themselves to be firmly in the middle-class are often one or two paychecks away from a financial crisis. The ongoing government shutdown illustrates this, as about the 800,000 federal employees are going unpaid. The solution to these myriad problems is to simply, in O’Brien’s words, “Go where the real money is—which is sitting mostly idly in the pockets of the extreme wealthy and corporations.” That money is essentially not being taxed or being undertaxed—a goal that Davos’ attendees have successfully pursued for decades. Oxfam’s report wisely focuses on women’s wellbeing as a measure of social health. “Investments in public services, particularly health care, education, and social protection, have a disproportionate impact for women and girls,” O’Brien said. For example, educating a young girl “Has this three-generational effect where communities benefit directly and indirectly.” In other words, when girls and women are educated, they are more likely to encourage education in the rest of the family. Private interests of the sort gathered in Davos show plenty of concern for education, health care and other social services. Philanthropic efforts across the world are filling in gaps created by a lack of government-funded programs and offering great public relations opportunities for billionaires. But those efforts are piecemeal and controlled by the whims of the wealthy. They are often skewed toward feel-good technological innovations and a measurable return on investment rather than long-term outcomes and social good for its own sake. Privately funded charities are no substitute for squeezing much-needed revenues from the tightly closed fists of the wealthy and having those revenues be spent by elected representatives rather than unelected, unaccountable, nameless aristocrats. Here in the U.S., there is majority public support for raising taxes on the nation’s wealthy—and why wouldn’t there be? The Republican Party’s signature tax reform law passed in December 2017 did exactly what Oxfam’s report warns against—it reduced taxes on the already-rich. A new poll by Business Insider has found that more Americans favor Congresswoman Alexandria Ocasio-Cortez’s plan to tax the rich at the rate of 70 percent than those who back the 2017 tax reform law. Davos attendees have good reason to be worried that the world’s inhabitants are onto the con game that the wealthy capitalist class has played on us. Report: Billionaire bonanza 2018: Inherited wealth dynasties in the 21st-century U.S.